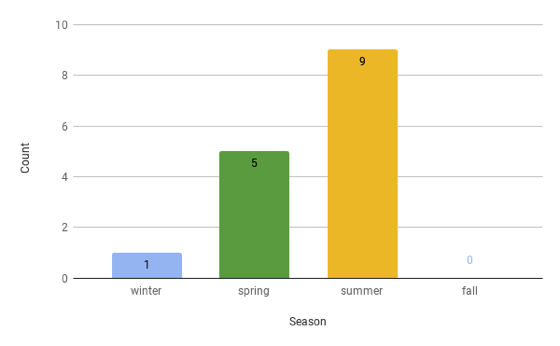 We wanted to know what your favorite season was, so we made a poll for the fifth grade class. 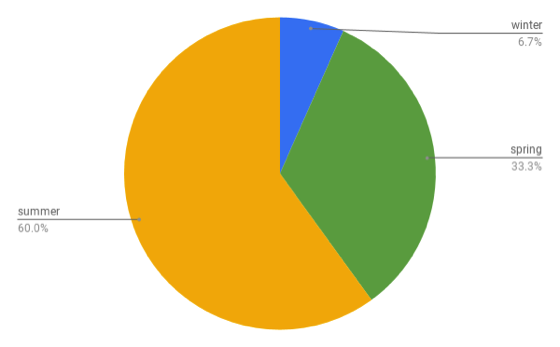 These are the results. Summer is the most picked by 5th grade student, we think its picked most becuase there's no school and we do Summer and fun activities. The least chosen is Fall, maybe because it's the begining of school so the fun ends.